Anthology TV is now stretching its bite-sized tendrils into the heart of one of television’s most venerable franchises, with Variety reporting that CBS All Access will soon play host to Star Trek: Short Treks, a miniseries of 10-15 minute shorts set in the Star Trek universe. Recently anointed Star Trek: Discovery showrunner Alex Kurtzman announced the new series at the show’s Comic-Con panel this afternoon. The four-episode miniseries will focus on side characters and stories taking place on the periphery of Discovery, including a new story about space-faring con-man Harry Mudd, directed by and starring Rainn Wilson. There’ll also be what sounds like a horror story starring Aldis Hodge as a man trapped on an abandoned ship (Pro-tip: Try asking the computer “What is the nature of the universe?”). 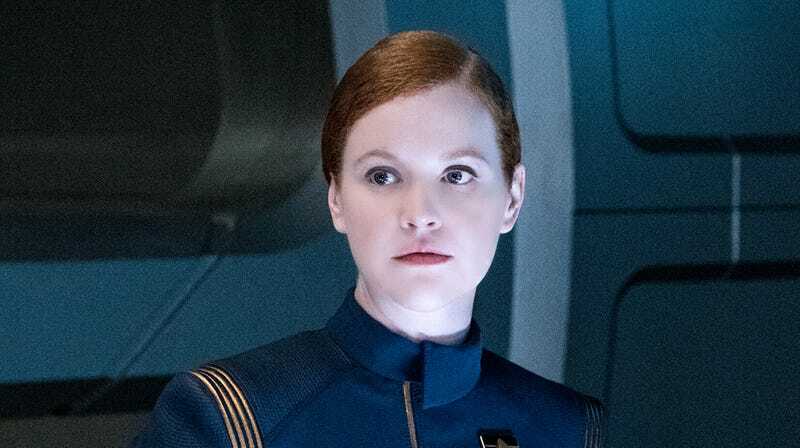 The other two will focus on existing Discovery crew members, with one episode each devoted to Doug Jones’ Saru and Mary Wiseman as fan favorite Ensign Tilly. The miniseries will debut on the CBS streaming service this fall. Meanwhile, in other Discovery news, the show flashed a trailer for its upcoming second season at that same panel, and showed off the debut of not just Tig Notaro’s guest character, but Rebecca Romjin as classic Trek crew member Number One.